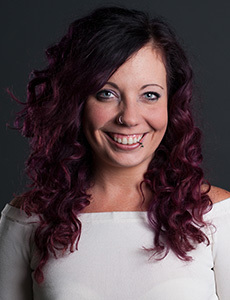 Jamie Erin Murphy is a Pittsburgh based choreographer, dancer and educator who is passionate about exploring the human body through movement. She graduated from Point Park University in 2007 and broke into the Pittsburgh dance scene soon after. Jamie has worked with Attack Theatre, Staycee Pearl Dance Project, Texture Contemporary Ballet, Xpressions Contemporary Dance Company, The Pillow Project, Knot Dance, Zany Umbrella Circus and was co-director of Murphy/Smith Dance Collective. Her choreography has been presented throughout Pittsburgh, as well as Ohio and New York. Last year she completed a 6 month mentorship with Doug Varone and Dancers (NYC) and presented work at the historical 92nd Street Y as part of the CHIN Project. Jamie has an extensive teaching career and is currently a proud faculty member of the Pittsburgh Ballet Theater School where she teaches Modern, Jazz, Choreography, Dance for Parkinson’s, Adaptive Dance and Creative Movement through elementary school residencies. She has had the honor of being nominated twice for The Carol R. Brown Achievement in the Arts Award. On top of being a an independent artist, she is currently a collaborator of Shana Simmons Dance and Staycee Pearl Dance Project. Jamie is very proud to be a part of the Pittsburgh dance community and will strive to continue her mission to make art and dance accessible for everyone.